Kanzen Records Radio is one of the most famous online radio station on South Africa. The word Kanzen means perfection in Japanese, Kanzen Records Radio is a collection of perfectionist in music. The radio is broadcasting for Japanese community living in the country. They strive only for the best and bring fresh, bold tunes to you. 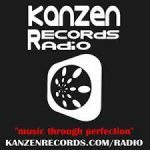 Kanzen Records Radio’ve been in the industry for few years now and have been working tirelessly to represent this genre well.